Promoting user mobility using your existing print infrastructure is made easy with our Mobile and Bring Your Own Device (BYOD) printing solutions. Any Device. Any Platform. Any file format. 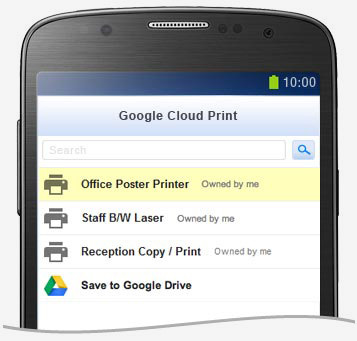 Allow users to print from whatever bring your own device (BYOD) or mobile device at their disposal. No matter the operating system of the user's device or the operating system of your print server. Whether printing from the campus cafeteria or working from home. If you are encouraging BYOD at your workplace or implementing a 1-to-1 laptop program (1:1) at your school. Don't stress about file types or the different brands of printer, as we have solutions to cater for all these situations. Mobility Print simplifies the printing process for bring your own devices (BYOD) and other end-user managed devices, such as smartphones, tablets, laptops or Chromebooks. By following a few simple steps, users can quickly discover and print to any printer, without requiring assistance of a techie!. No finding drivers, no joining domains! Mobility Print gives users the choice and freedom to print from whatever device is at their disposal, providing the most level playing field across all prominent operating systems (Windows, iOS, macOS, Chrome OS and, Android). Users can upload their document to a simple web form (that can be customized to your look), which can be accessed from any web browser. This mobile solution is driverless and installation free for BYODs with file management capabilities. Simply send an email to your network's print devices from any web connected mobile. Print PDFs, Microsoft Office documents and picture files without installing client software or drivers. A simple way to print from any device that can send an email. Simplify the setup and sharing of your network printers along with managing mapping of Google and network domain accounts. 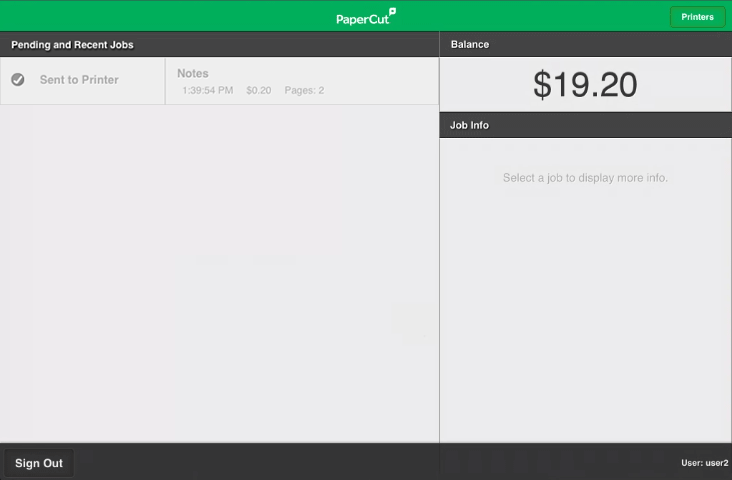 PaperCut's Google Cloud Print integration tracks and controls print jobs (without installing drivers) from Windows mobile, iOS and any device that supports Google's Apps and Cloud Print. Print through a familiar app interface from iPads or iPhones, filling the gap AirPrint leaves for managing your users. Deployed via your intranet, the PaperCut iOS app authenticates on first open. Users can see their job status and account balances (if using this feature). Streamline printing for visitors from their mobile device. Guests simply email an attachment to a designated address for printing with no need to access your secure wi-fi network or authenticate with your domain. PaperCut has always, and will always continue to support a SysAdmins freedom to design their print network to suit their specific needs and fit within that. 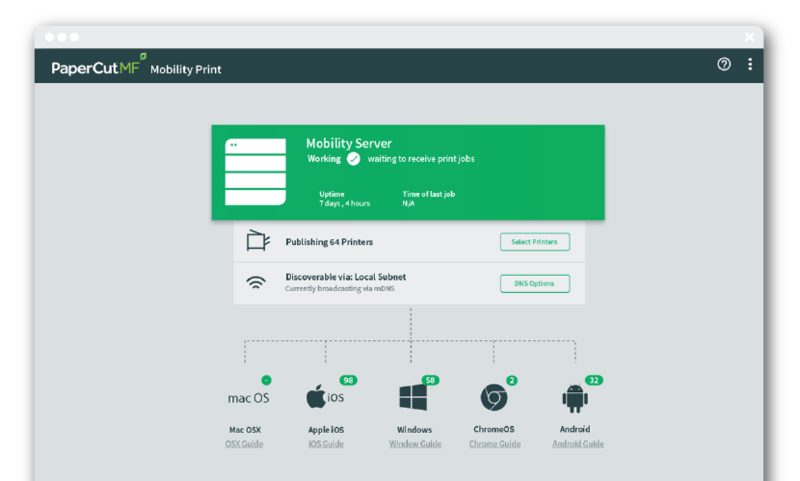 Our new feature in 17.0, Mobility Print extends this by allowing a SysAdmins to make some new choices to provide access to print resources for mobile and BYOD users across all platforms. You'll notice our existing solutions are still as predominant in our product to still allow the choice. If using the Web Print solution is the right answer for you, PaperCut will continue to directly integrate with this service. If your users are more comfortable with emailing, Email to Print will be the right choice here as well. More options means a solution more likely to fit into your design. Check out the super informative Mobile & BYOD Printing section in the manual for the pros and cons of each solutions and when each mobile print alternative is best to use.